Building secure and maintainable web applications requires comprehensive knowledge. 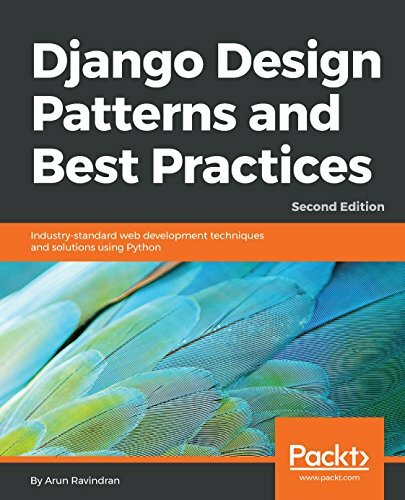 The second edition of this book not only sheds light on Django, but also encapsulates years of experience in the form of design patterns and best practices. Rather than sticking to GoF design patterns, the book looks at higher-level patterns. Using the latest version of Django and Python, you’ll learn about Channels and asyncio while building a solid conceptual background. The book compares design choices to help you make everyday decisions faster in a rapidly changing environment. You’ll first learn about various architectural patterns, many of which are used to build Django. You’ll start with building a fun superhero project by gathering the requirements, creating mockups, and setting up the project. Through project-guided examples, you’ll explore the Model, View, templates, workflows, and code reusability techniques. In addition to this, you’ll learn practical Python coding techniques in Django that’ll enable you to tackle problems related to complex topics such as legacy coding, data modeling, and code reusability. You’ll discover API design principles and best practices, and understand the need for asynchronous workflows. During this journey, you’ll study popular Python code testing techniques in Django, various web security threats and their countermeasures, and the monitoring and performance of your application.